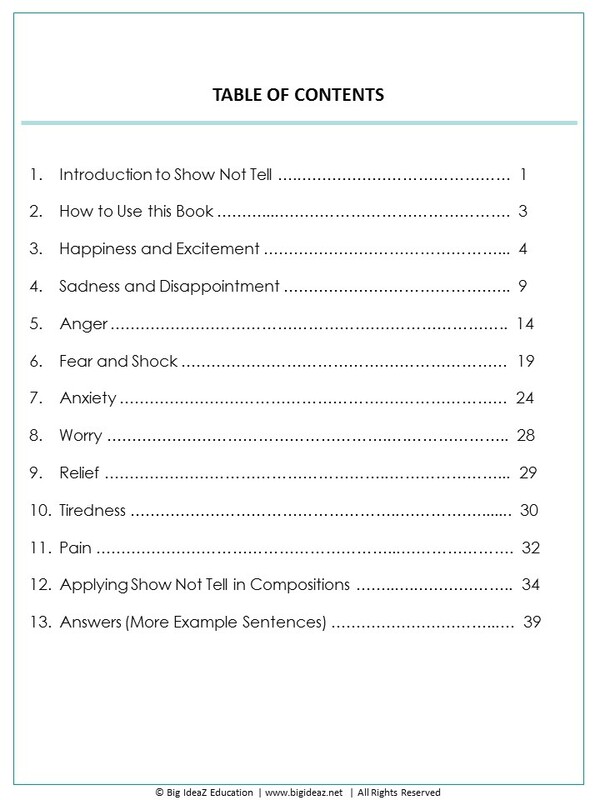 Learn 120 Show, Not Tell Phrases that you can use to describe your characters' feelings. Boost your vocabulary and spice up your compositions with these easy-to-apply descriptions. 'Show, Not Tell' is a writing technique used by many authors and writers, to paint a picture with their words. Feelings give life to your story characters. Without feelings, your characters would be plain and flat. Readers will not be able to identify with them. As a result, they will not be drawn into the story. 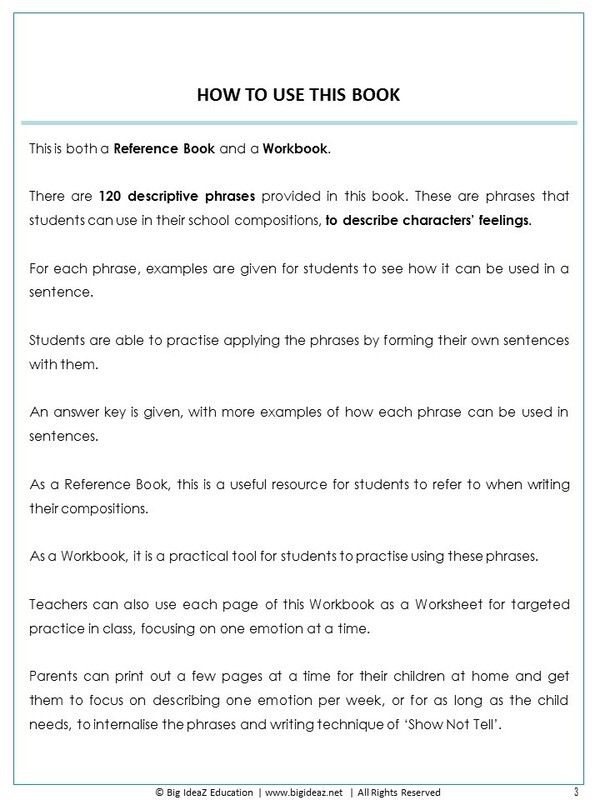 In school, many teachers look for descriptions of characters’ feelings in their students’ compositions. 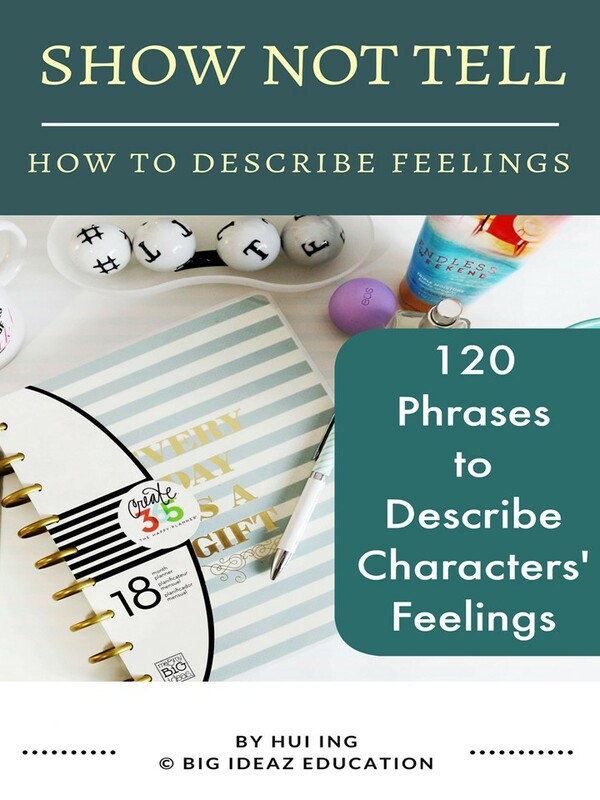 Use these 120 phrases to describe your characters' feelings and get higher marks for the language component of your compositions. Buy the Show Not Tell Feelings ebook now! Expand your child's vocabulary and spice up their compositions with this writing technique. Click the 'ADD TO CART' button to buy the ebook and download it instantly. After paying, a download link for the ebook will be sent to your PayPal email address. Please check your PayPal email inbox and download the ebook. No PayPal account? You can still pay with your debit or credit card by selecting the "Pay by Debit or Credit Card" grey button at the PayPal login page. Be sure to enter a valid email address during registration so that a download link can be sent to you.